The following executives were nominated this year for Guam Business Magazine’s Executive of the Year. We are proud to recognize these individuals who have made an impact on their colleagues, companies and community through notable achievements in their businesses and institutions in the past year and more. Gerard A. Cruz, 50, is president and CEO of the Community First Guam Federal Credit Union. Cruz was born in Honolulu, Hawaii, and received both his his 1990 bachelor’s in economics and his 1996 master’s in business administration with a concentration in finance and banking at the University of San Francisco. 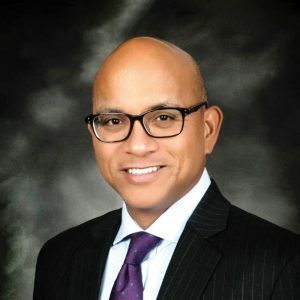 Cruz began his banking career as a management trainee in the corporate banking group at Bank of Guam immediately following graduation from college. He worked as the chief legislative aide at the Office of Senator Anthony C. Blas from 1991 to 1994 before returning to the banking industry in Larkspur, Calif. as a secondary markets associate/intern at Headlands Mortgage Co., which now does business as GreenPoint Mortgage. Returning to Guam, he served as assistant vice president first as the manger for the Mortgage Banking Division from 1996 to 1999 and then in Commercial Lending from 1999 to 2000 at Citizens Security Bank (Guam) Inc. In April 2000, Cruz joined the credit union, where he has since risen from vice president and chief financial officer to executive vice president and chief operating officer and finally to president and CEO. 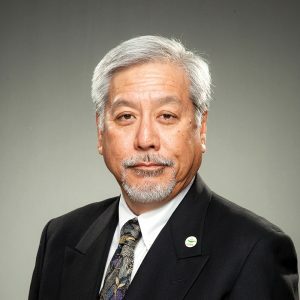 He serves as the chairman of the board of governors for the Asia Pacific Association for Fiduciary Studies, the treasurer and a trustee on the board of trustees for the Government of Guam Retirement Fund and as vice chairman of the board of governors at the Guam Community College Foundation. He is the past treasurer of the Rotary Club of Tumon Bay and a past member of the Freddie Mac Credit Union Advisory Board in McLean, Va. He is also a member of the Guam Chamber of Commerce and Guam Hotel and Restaurant Association and a past member of the Finance Budget Committee for the Guam Visitors Bureau and the Make-A-Wish Foundation board of directors. Cruz has also conducted numerous home-ownership, financial, credit and debt management seminars throughout the region and elsewhere. Cruz is married to Letitia S. Lujan. He has two daughters, Teressa and Veronica, and four step children: Ambrosio, David, Stevie and Gisele. Richard W. Hart, 43, is owner, principal franchisee and president of Apple Pacific Restaurant Group, which consists of Apple Pacific LLC, Pacific Pancakes LLC, Pacific Pancakes Two LLC, Progressive Pies LLC and Pacific Pasta LLC, which do business as Olive Garden, Applebee’s Neighborhood Grill & Bar, IHOP Restaurant, Pieology Pizzeria and Longhorn Steakhouse. 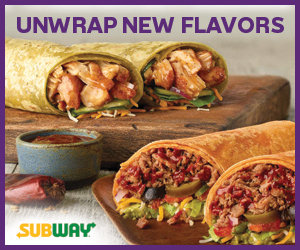 Born in Dover, New Jersey, he received his 1995 associate’s in culinary arts, 1997 associate’s in business management and 1997 bachelor’s in foodservice management from Johnson & Wales University in Rhode Island. Hart knew from the start what he wanted to be when he grew up and started cooking at a very young age. 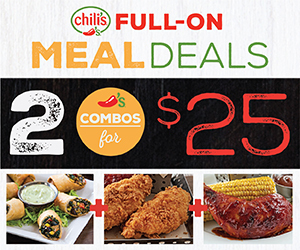 After college, he worked for Outback Steakhouse International in the U.S. mainland before coming to Guam, where he first served as the managing partner and proprietor for Outback Steakhouse International in Guam from 1998 to 2007. He was director of operations for IT&E Overseas from 2008 to 2013 before starting the Apple Pacific Restaurant Group in 2013 with one employee. Since then, Hart has opened seven restaurant locations in four years with four different brands and now oversees almost 275 employees. Through his companies, Hart supports hundreds of groups on Guam and in the region, including but not limited to the Make-A-Wish Foundation, Guam Animals in Need, Guam Pharmacists Association, Guam Memorial Hospital Volunteer’s Association, the Joint Women’s Leadership Committee and groups from almost every high school and university on Guam. Hart is married to Thelma Marie Gonzales Hart, and they have two children: Pia Elise Gonzales Hart, 12; and Liam Kayne Gonzales Hart, 6. Michael B. Makio, 53, is the president and principal architect for Taniguchi Ruth Makio Architects, as well as the manager of M2M Designs LLC. Born on Guam, Makio spent some time studying at the University of Hawaii, where he saw the matched disparity on both Guam and Hawaii where communities were being designed by architects and engineers who didn’t understand the people or the culture of the islands. This led him to earn his 1986 bachelor’s in architecture from the University of Oregon, so that he could help give the people on the islands a voice in architecture and the aesthetics of the islands. Since graduation from college, Makio has designed and led TRMA in designing commercial, educational and air terminal projects and boutiques and restaurant designs, including the Guam International Airport Authority Aircraft Rescue and Fire Fighting Facility, Lotte Duty Free at the A.B. Won Pat International Airport, Coast360 headquarters and the Guam Community College Learning Resource Center. Makio is chairman of both the Guam Historic Preservation Review Board and the Guam Preservation Trust. He served two terms as president of the AIA Guam & Micronesia Chapter, is a member of the Guam Energy Task Force and the Guam Visitors Bureau Guam Seismic Advisory Council. He was the first local Leadership in Energy & Environmental Design Accredited Professional and is a member of the U.S. Green Building Council. Makio is married to Tisha M. Makio, and they have three children: Dawn Ku’uanani, 21; Michael Kamakana’akua, 7; and Damien Kahaloa, 5. Monte D.M. Mesa, 60, is the general manger of Guam Premier Outlets and Tumon Sands Plaza, a position he has held since 2006. 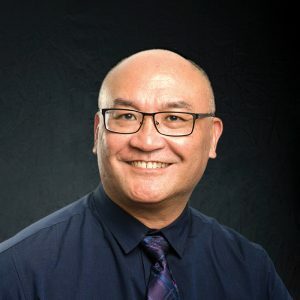 Born on Guam, Mesa attended Golden West College in Huntington Beach, Calif. from 1978 to 1979 and the University of Guam in 1982, focusing on business management and marketing. Back on Guam, Mesa was the assistant general manager for Micronesia Mall from 1997 to 2001 before becoming the president and general manager for the former Guam Premium Outlets under its previous ownership from 2001 to 2006. Mesa is a member of the board for both the Guam Economic Development Authority and the Guam Nikkei Association and is vice chairman of the board for the Guam Visitors Bureau and president of the Rotary Club of Tumon Bay. He has served as chairman of the board for the Guam Museum Foundation Inc., the Port Authority of Guam, the Guam Visitors Bureau and the Pa’a Tao Tao Tano board of directors, as well as president for the first chartered Micronesia Cruise Association. Monte is married to Margaret Anne McAlister Mesa, and they have three children: Kyle, 31; Amanda, 29; and Nicole, 25. Milton K. Morinaga, 63, serves as vice president, director and managing director of P.H. R. Ken Micronesia Inc., a position he has held since 2007. He was born as a U.S.-citizen in Tokyo, Japan. Morinaga earned a 1979 bachelor’s in sociology from the University of Hawaii at Manoa and is a designated Certified Hotel Administrator by the American Hotel & Lodging Educational Institute as of 1981. He is also a licensed realtor in Hawaii. Morinaga has worked in hospitality since 1974, when he served as acting general manager for Kobayashi Travel Service Ltd. in Honolulu. He also served as assistant hotel manager at the Imperial Hawaii Hotel, assistant front office manager at Hawaiian Monarch Hotel and night manager/assistant manager at Hyatt Regency, all in Waikikki. He then served as rooms division manager at the Hyatt Regency in Saipan before working as senior executive manager/director, general manager/executive director and general manager and executive officer and director for Southern Pacific Hawaii Corp. in Waikoloa. Since, he served as the hospitality project construction manager for WB Kukio Resorts LLC in Hawaii and as owner representative/executive officer and director for Marianas Hospitality Corp. and International trading network. He is the chairman of the board for the Guam Visitors Bureau, vice chairman of the Guam Economic Advisory and sits on the Governor’s Council of Economic Advisors. 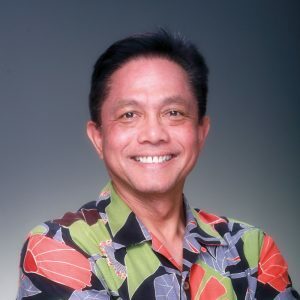 He previously served as chairman of the Japan Marketing Committee for GVB and vice chairman of the board for the Count of Hawaii Commissioner for Kailua-Kona Village Design Commission. 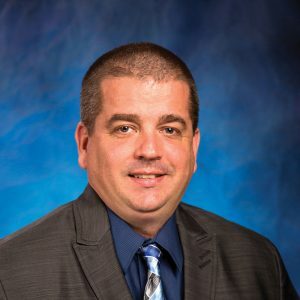 He is a member of the Guam Hotel & Restaurant Association and the Guam Chamber of Commerce and is a member of the Guam FBI Citizen’s Academy Alumni Association as well as an Honorary Deputy Chief of Police. Morinaga is married to Linda M. Morinaga, and they have two children: Kayla M., 30; and Michelle E., 28. Lee H. Vensel, 62, is the country managing partner for Deloitte & Touche LLP, Guam and Micronesia. He was born in Franklin, Kent., and received his bachelor’s in mathematics and business administration at Drury College in Springfield, Missouri. He additionally worked toward his master’s of arts at Write State University in Dayton, Ohio. He is a certified public accountant in Guam and Georgia. Vensel began his career at Allie Stores Corp. in 1979 as a controller trainee doing internal audits before moving up to assistant controller at Heer Department Store in Springfield Miss. He became assistant controller at Levy’s Department Store in Savannah, Ga. in 1983. 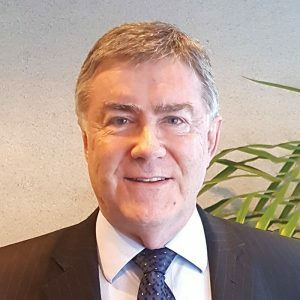 In 1985 he moved to Guam, where he began working with Deloitte as a semi-senior staff auditor before being promoted to audit partner in 1993, being elected to the Deloitte Southeast Asia Board of Directors in 2013 and becoming managing partner in 2017. He is a member of the American Institute of Certificate Public Accountants, the Association of Government Accountants, the Guam Society of Certified Public Accountants and is past chairman of the board of directors for the Junior Achievement of Guam and past board member of the Rotary Club of Northern Guam. Vensel is married to Sherri R. Vensel, and they have two children: Lee H. Vensel IV, 37; and Adam C. Vensel, 33.